 The restaurant Zur alten Taverne lies in the heart of Kloten, a stone-throw away from Zurich Airport and has ever been a popular place for enjoyment, staying, relaxing and having a great time. With 50 seats in the restaurant and another 30 seats in the conservatory/winter garden it offers the ideal size for a cosy get-together. The winter garden can also easily be transformed into a multifunctional room and used for family or business functions such as birthday celebrations, business lunches/dinners or similar events. We are open to discuss your needs and will make every effort to accommodate your ideas. My partner and myself feel extremely humbled and honoured to take over as directors and lead the restaurant into exciting times. We can assure you that we will work hard to meet the standard and quality you are used to (although minor changes will occur) and live up to your high expectations. For us fresh and impeccable quality of our produce are essential which we will deliver thanks to our carefully selected suppliers. We are thoroughly looking forward to your visit.